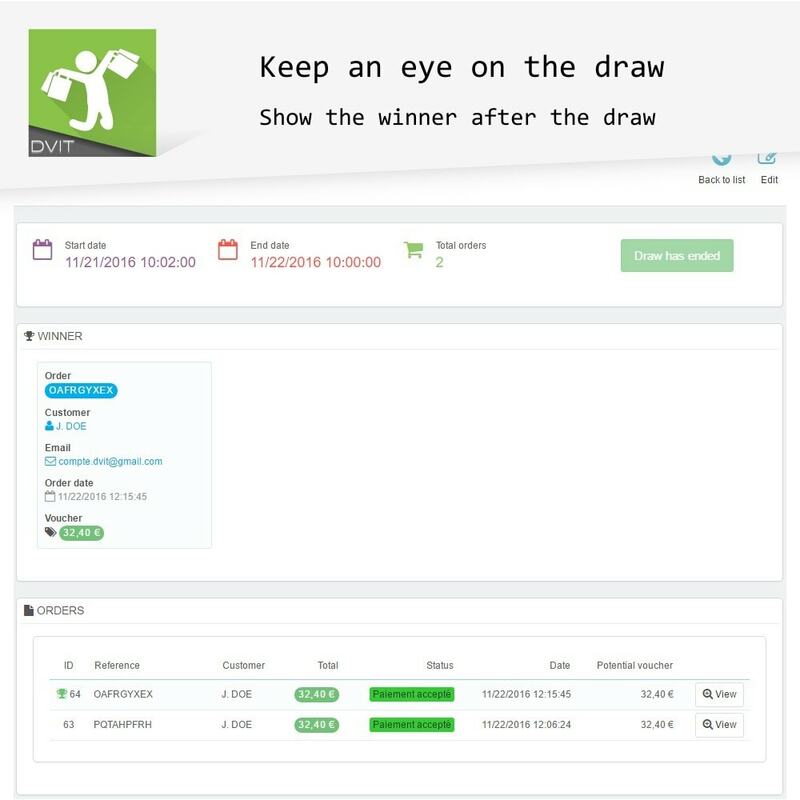 With this module you can organize random draws among the orders during a defined period and generate automatically a voucher for the winners or send a gift. the level of amount to spend to get extra participation (Eg: set 50, customer spends more than 50€ gets 1 participation, more than 100€ gets 2 participations...). 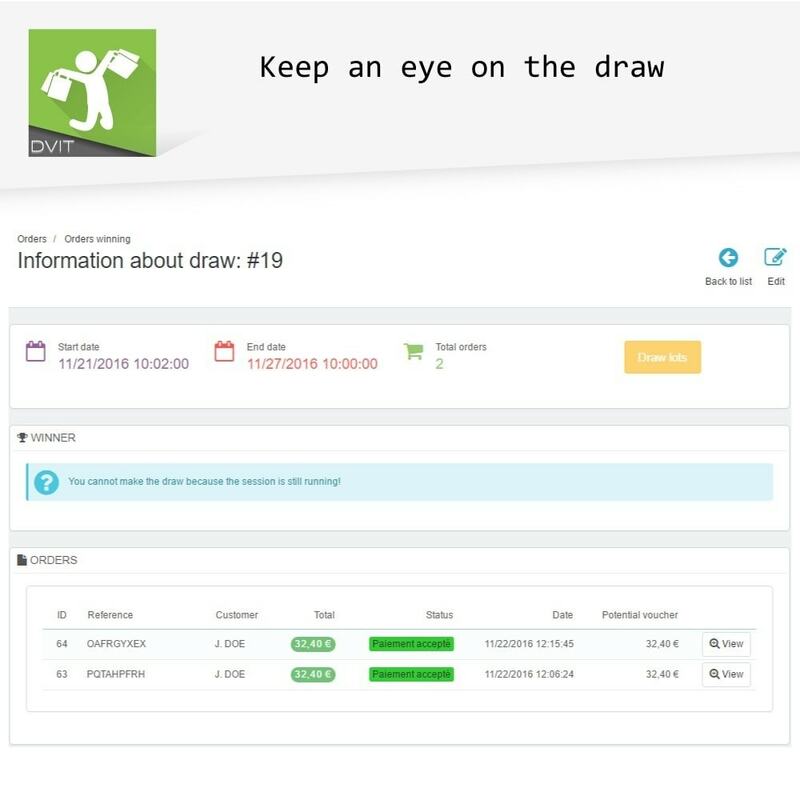 The draw can be automated by cronjob or manually, among the orders validated during the defined period. 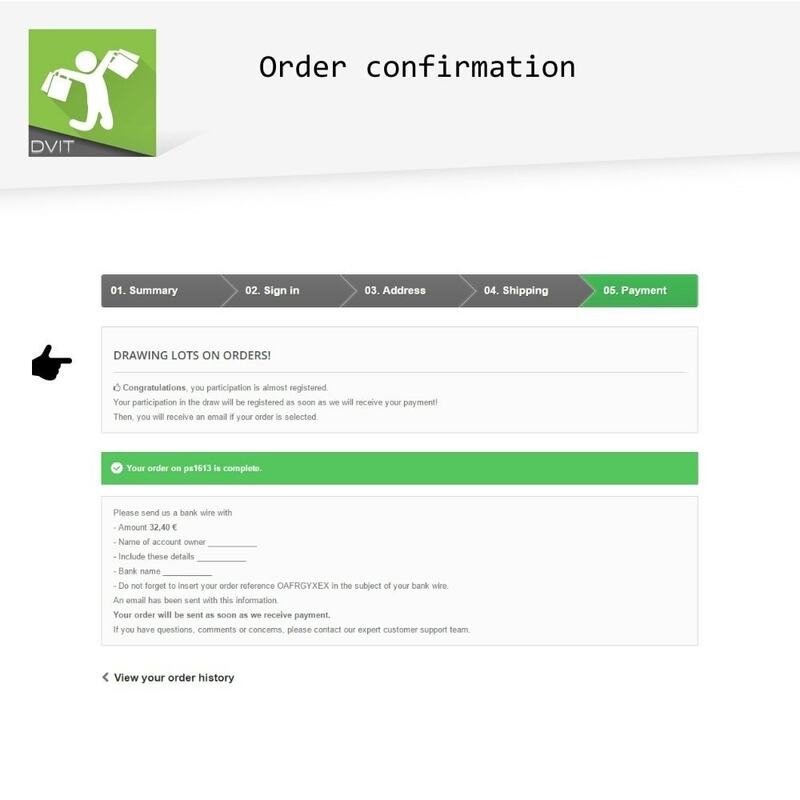 Automatic sending by email with the voucher to the winners. You can edit the email template. Тема отлично подойдет для использования в магазине косметики и парфюмерии, а также может быть адаптирована под использование в магазинах других тематик. Шаблон превосходно отображается на разных устройств. 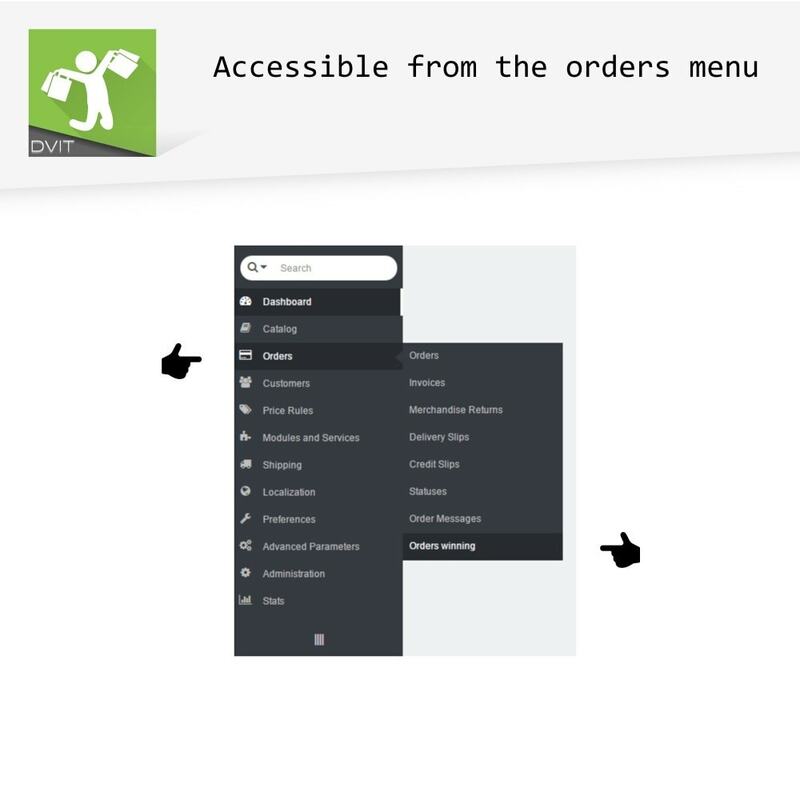 Module to increase conversion and orders average price, offering your customers gifts in the shopping cart if they purchase more products. 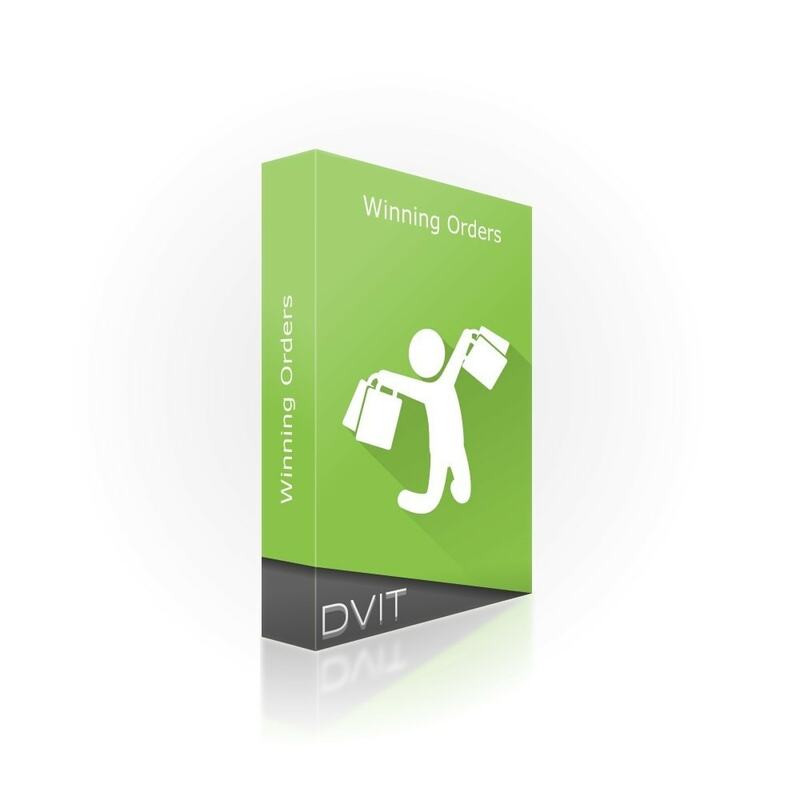 Increase your customers loyalty with gifts and get more sales. Your feedback is very important to us. So, if you get satisfied by this module, this module works correctly, we would love to get a rating of 5 stars. Thank you very much! 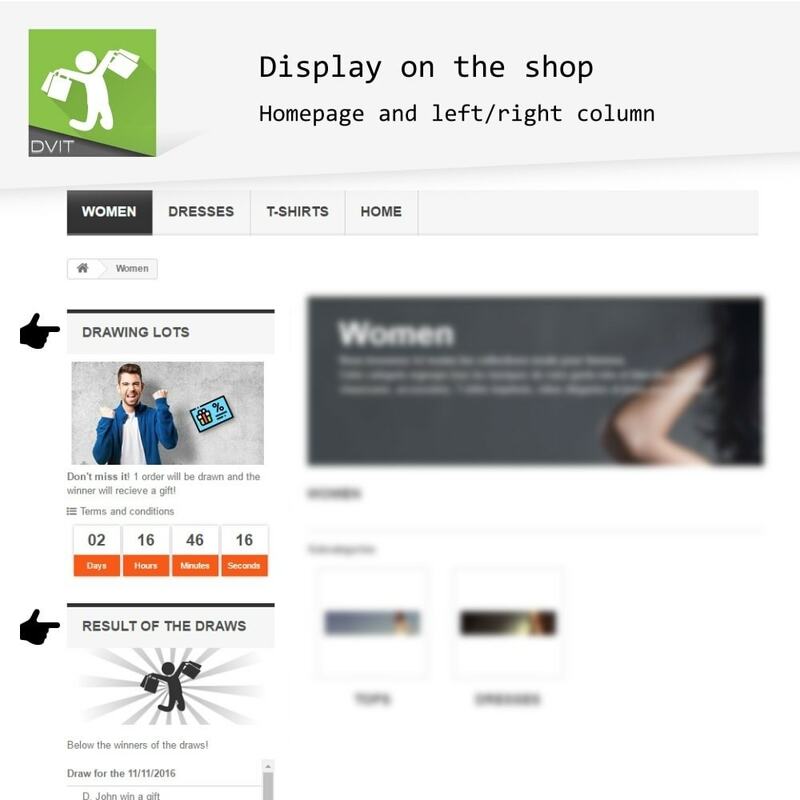 To ensure that this module fits your needs, test it on the demonstration site. If you have any questions, suggestions, feel free to contact us through the support form. This module is delivered with a fully documentation. With this module, you can highlight your products by creating a product arrangement with shapes on a map, photo, image or illustration. 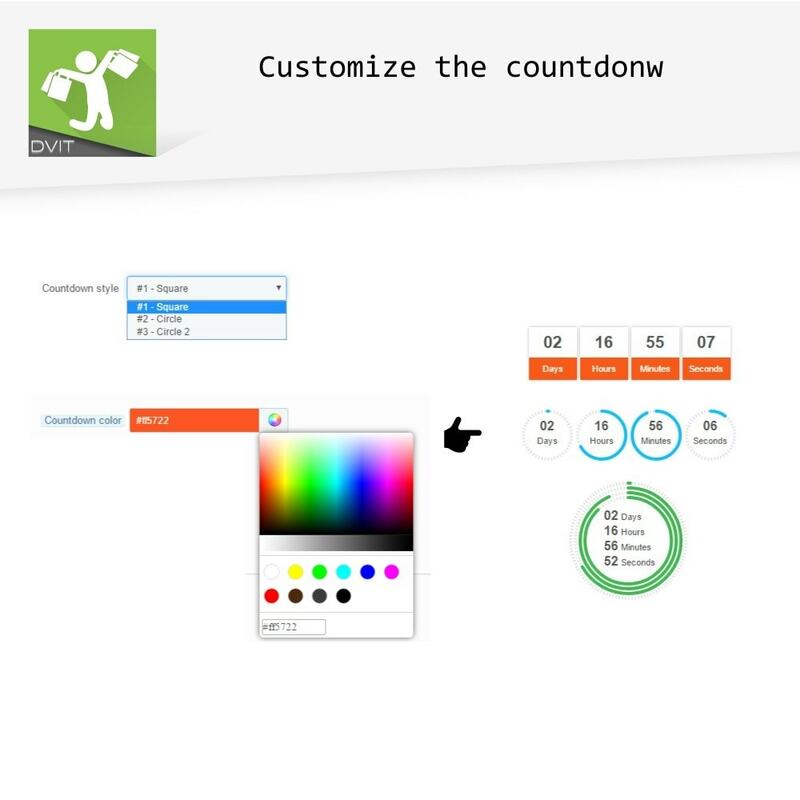 Create product compositions and increase your sales. Use your imagination !